Are you looking for a cute and fashionable kid's window drapes to make your little one's room more stylish and a wiondow treatment that she will beenjoy for years to come? 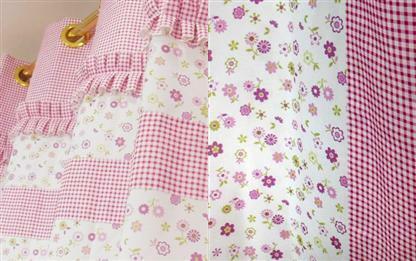 These window drapes with its charming checks and florals will surely satisfy your needs. Long prized for its subtle luminescence and luxurious appeal, these contemporary curtains can transform any room. The generous width of the drape kids' curtain panels gives a rich, full look to your little one's windows. Easy to install and no need to ask for help from the expert! Its 65% shading effects gives your little one a peace and comfortable environment.